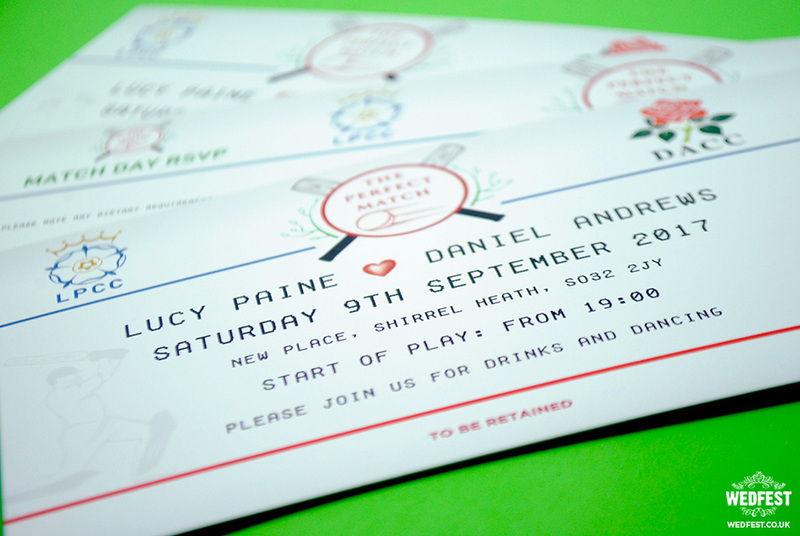 At Wedfest as you know we work on all types of awesome themed wedding stationery, and one of the biggest themes for our customers is sports themed wedding stationery. 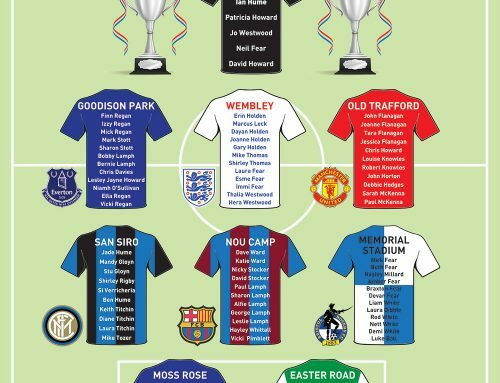 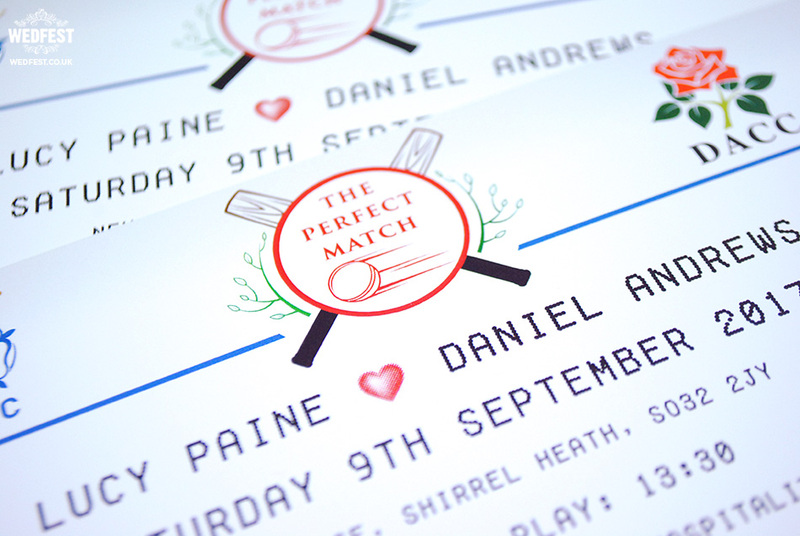 Of course the most popular is football ticket wedding invitations but we can adapt our designs to suit and sport. 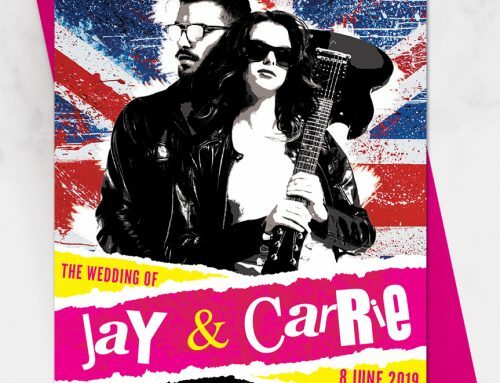 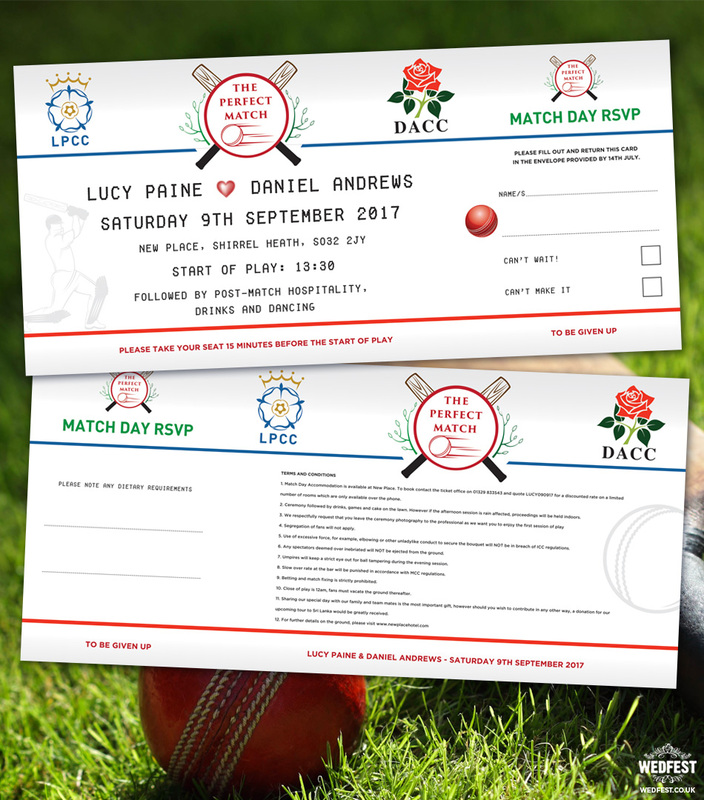 So we were bowled over when Cricket Fans Lucy & Dan got in touch asking could we make them some Cricket themed wedding invitations (did you catch that great joke?? 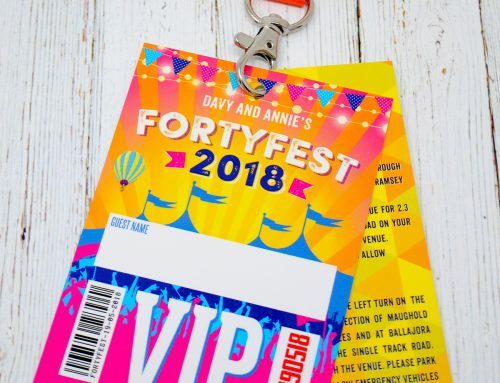 we are here all week!! 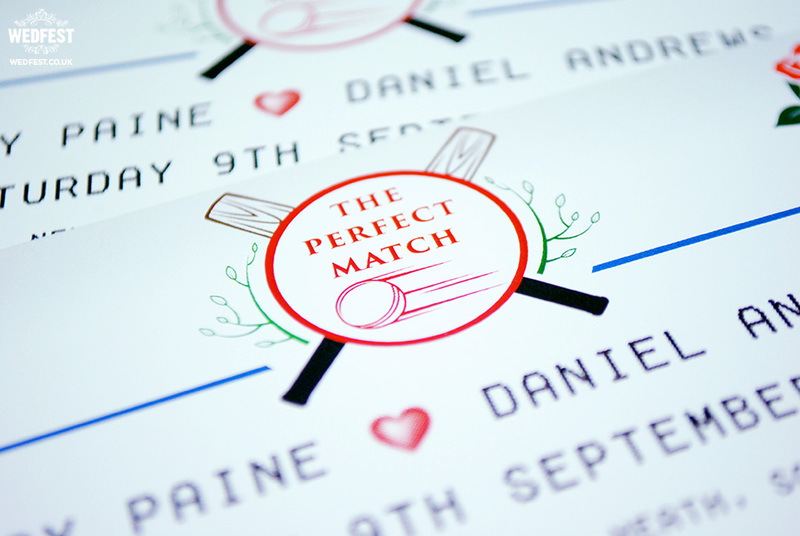 The cricket loving couple explained to us the kind of design elements they wanted, with cricket crests specific to each of them, similar to how we do with our football and rugby ticket wedding invites. 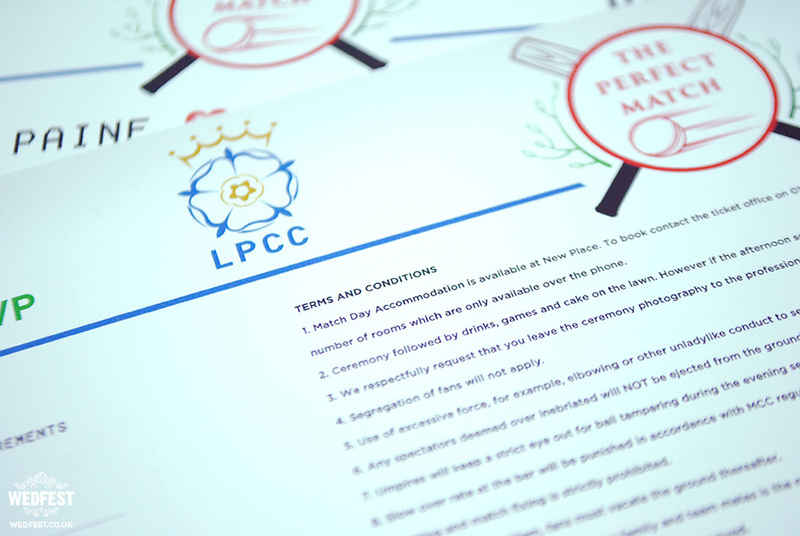 The thing with cricket is of course the limited colour scheme involved as normally the teams are kitted out in white. 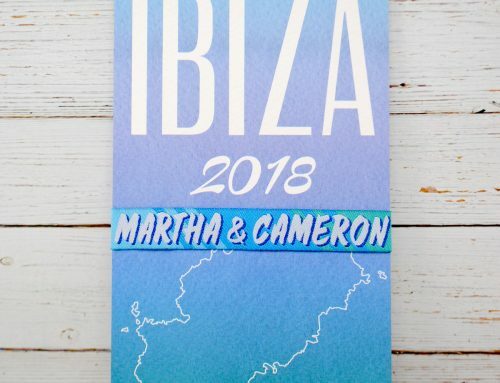 So while having a predominately white invitation design we wanted to add splashes of colour throughout to which we did with the logo’s and other design elements. 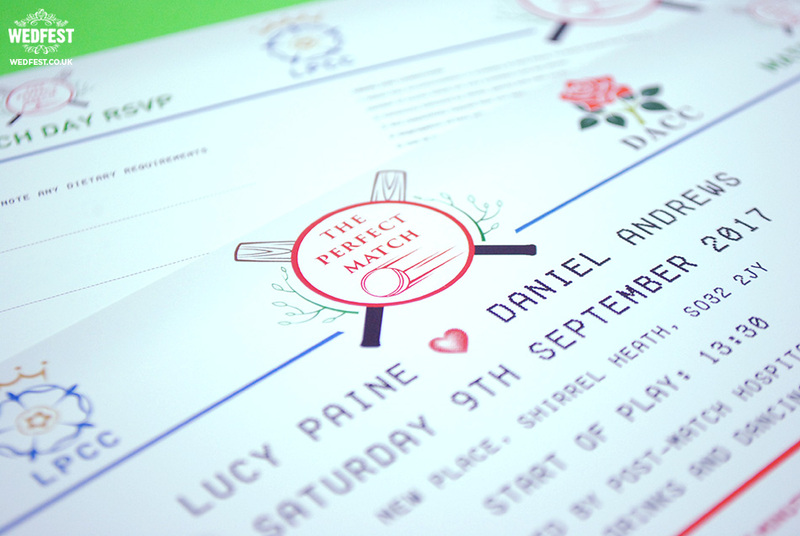 The couple called their wedding the perfect match so we designed a beautiful logo for their wedding featuring cricket bats and a cricket ball which was the centre piece of the invitation design with the couples individual cricket crests on either side. 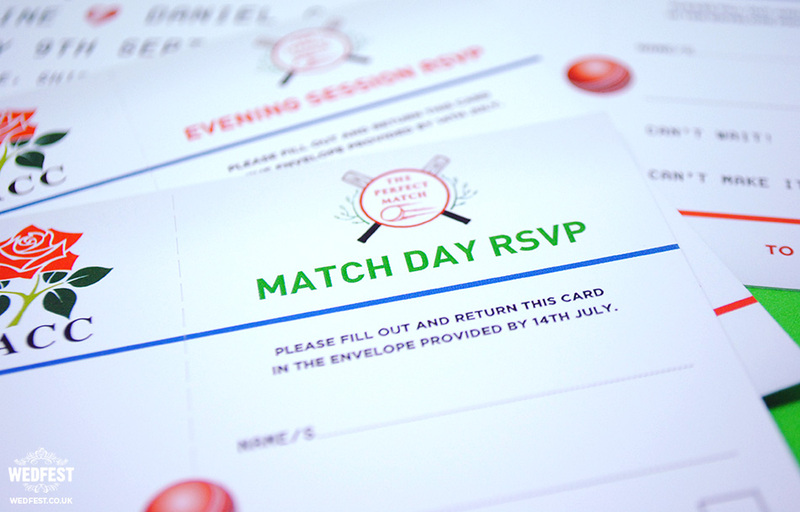 We had little cricket theme details through out such as a watermarked cricket player getting ready to bat and the cricket ball on the perforation between the main wedding invitation and rsvp card. 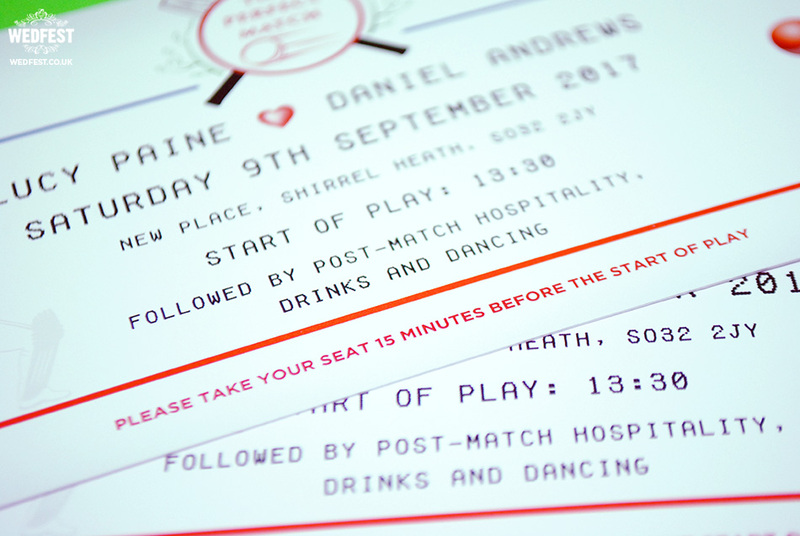 On the reverse side of the cricket ticket wedding invites we had a list of terms and conditions similar to that you may find on an actual cricket match ticket. 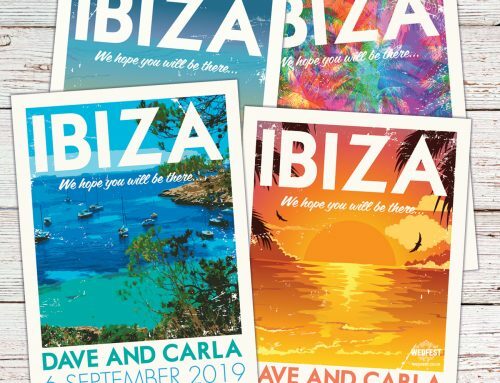 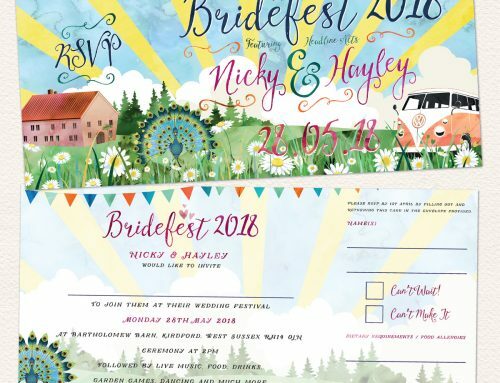 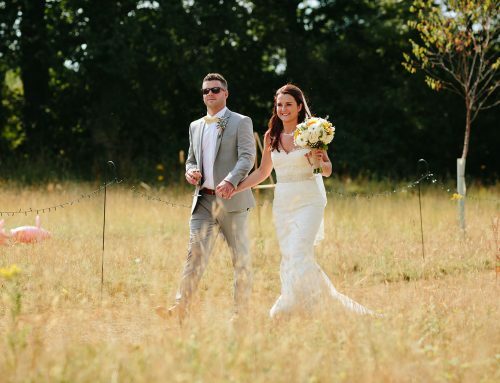 Of course the terms and conditions contained all useful information for the wedding guests such as accommodation information and also a lot of fun T&C’s made up by the couple for the enjoyment of their wedding guests. 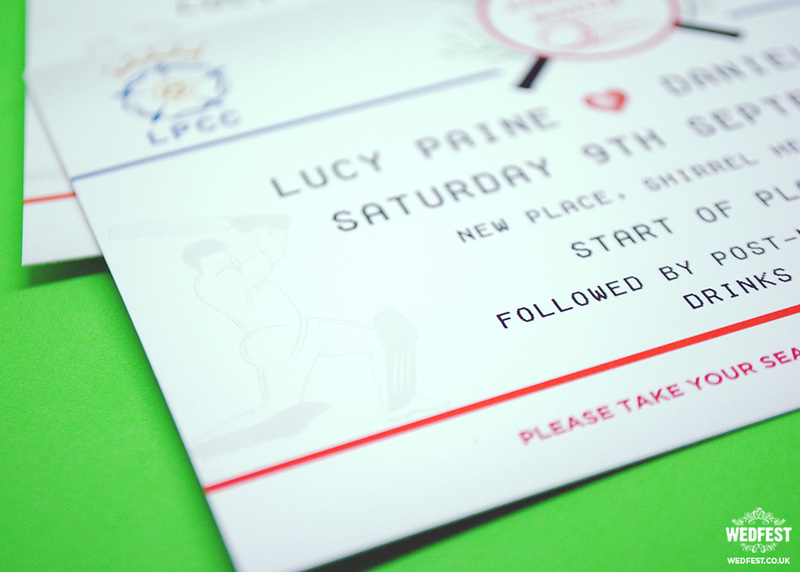 The cricket ticket invite featured a match ticket stub which doubled as the wedding RSVP card which the wedding guests could easily tear off and send back to the couple. 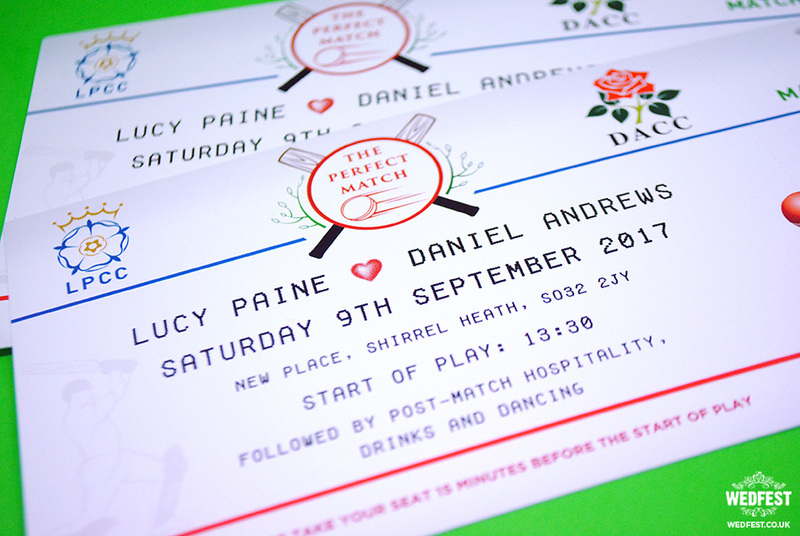 These cricket ticket wedding invitations turned out really cool looking and are perfect for this couples cricket themed wedding. 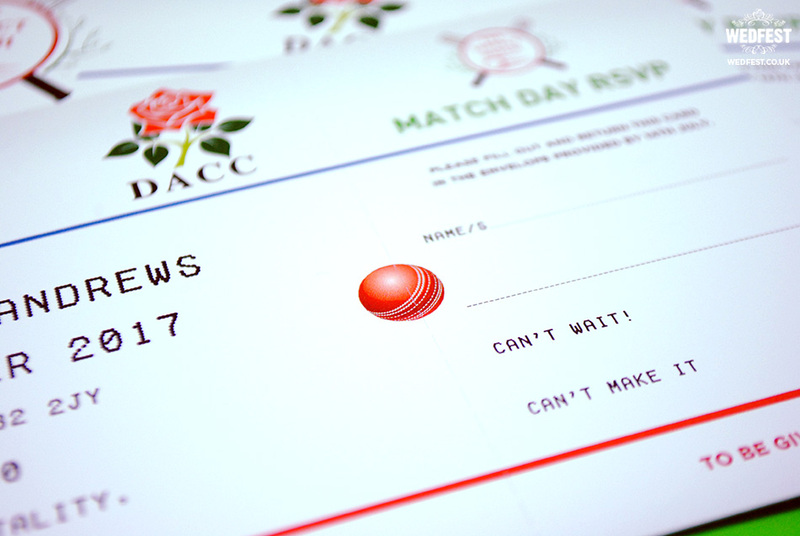 If you like the look of what you see here and are maybe thinking of a cricket themed wedding yourself or just want to add a a bit of fun into your wedding stationery please click here to get in touch.